Use multiple sheets/colors to create this look. Love playing Tetris? 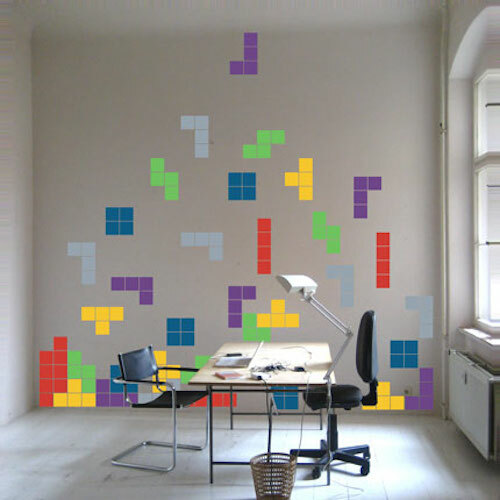 Add color to your rooms with the Tetris Wall Art Stickers and arrange it like a champion! Create endless arrangements by separating them with a pair of scissors and applying them anywhere you wish! 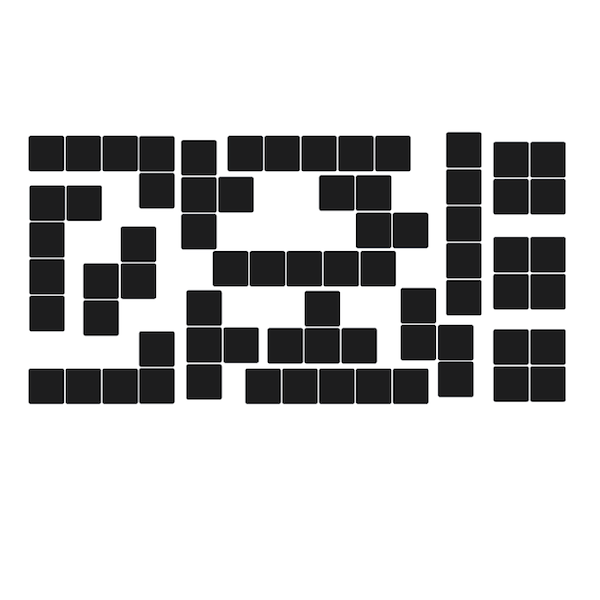 Each sheet comes with 16 Tetris pieces. All wall decals are made from 100% interior safe, removable vinyl, available in over 40 colors, that appear painted right on the walls! Perfect for permanent or temporary decorating! Great on windows and smooth surfaces of nearly any kind!